Travelling in Northern Vietnam is a right of passage for all backpackers – and I’m not just saying that. Not only is it one of the cheapest backpacking destinations, but it’s linear shape makes it ideal for efficient, short-term travel. Terraces Fields - brand of Northern Vietnam. So, where is the best destination to enjoy it? Of course, planning a trip to such an awesome country where you’ll no doubt want to do everything – but trying to do too much can be a nightmare. Fortunately for you, I’ve got all the essentials for an indie traveller in Northern Vietnam right here. Vietnam’s big beast of a capital city should be any traveller’s first port of call. Hanoi is a glorious hub of markets and museums. Watch out for kamikaze motorbikes when ambling around the streets but don’t miss an early morning at Hoan Kiem Lake (“Lake of the Returned Sword”) where the locals go for their daily exercise. St Joseph’s Cathedral and the serene Temple of Literature are both must sees. 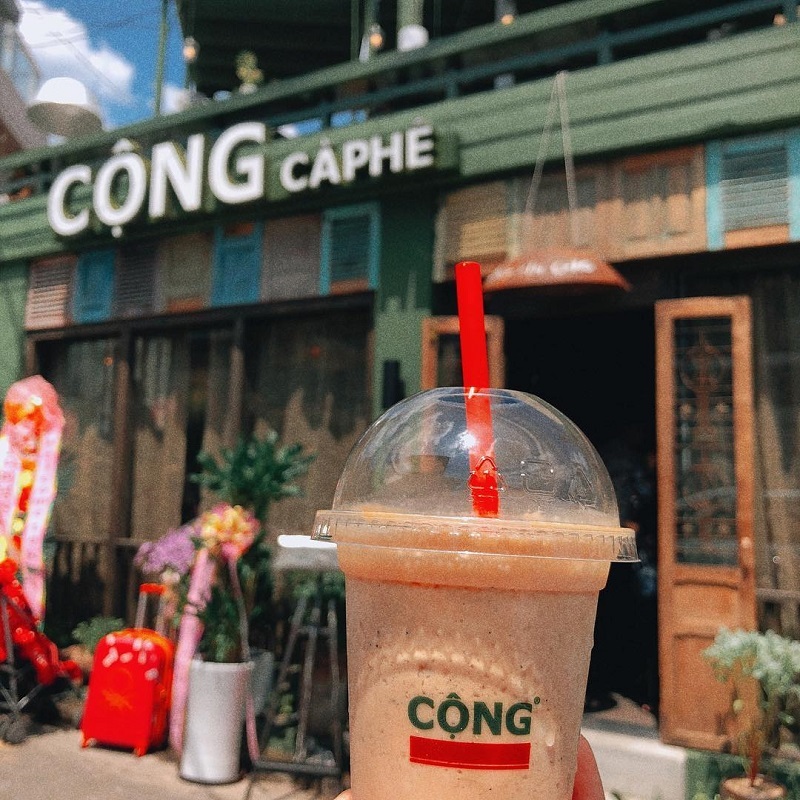 Indulging in Hanoi’s café culture is essential for anyone recovering from jet-lag. Grab a cup of that bitter-bean, which has a distinctly bold flavour here in Vietnam, on the street and expect half-coffee, half-condensed milk. For something a bit more upmarket (which will still cost no more than $2) nip into cool-kitsch Communist-style café chain, Cong Caphe, for coffee with coconut, or Café Pho Co’s famous egg white coffee. 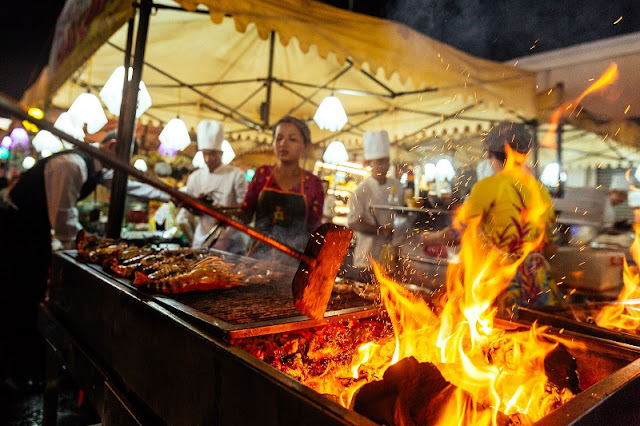 Street food is definitely the way to eat for indie travellers who want to try the best of Vietnamese food. Little red and blue plastic seats line the back streets, whilst local women cook up wonders in big metal pots. If there’s fresh lime, basil and chillies in the middle of the table, then they’ll be serving up phở bò (beef noodle soup). Bánh mì (crusty French baguettes) can be found everywhere, and gỏi cuốn (fresh spring rolls) are not to be missed. 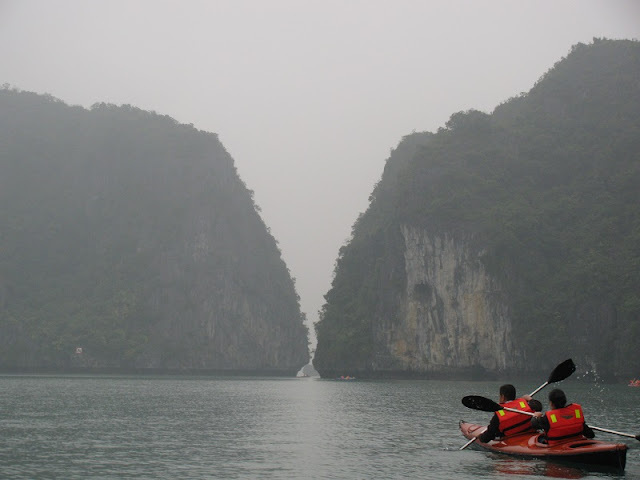 Halong Bay – the place where dreams are made. Well, maybe not dreams, but films certainly are. Trips from Hanoi range from the bare minimum to the super swanky. A decent trip – with no scams involved – will cost around £35 (about $60) for 2 days, 1 night, but you’ll be sure to find tour guides offering to take you for much more. You’ll be cruising along the aquamarine waters amongst literally thousands of limestone karsts and islets, with a few short stops for walks, strange caves and a pearl farm. Some cruises offer an attempt at shrimp-fishing (catches certainly not guaranteed) and there’s kayaking for those who want to get out on the open water. It would be a crime to travel Northern Vietnam and not take a trip to a tribal village. 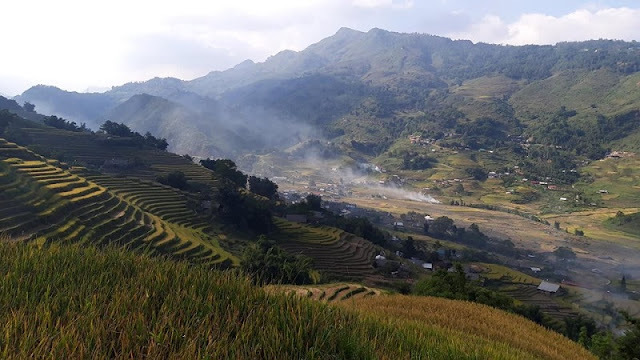 The most popular ethnic village for travellers is Sapa, tucked in the mountains affectionately known as the Tonkinese Alps, but I’ve also heard great tales of Mai Chau. The highlands are stacked with rice terraces, which, depending on the season, may be lush and green, or totally water-logged. Off-the-beaten-path treks with Hmong women are organised everywhere. Make sure to sign-up with those from the local tribes, such as the Sapa Sisters, rather than a large tour operator. Warning: tribal women trying to sell their colourful wares are everywhere and they’re not afraid to be a bit pushy. There are plenty of gorgeous ethnic style clothes, purses and baby hats dyed blue with Indigo and the tribes do make their money this way. Just be wary of having Vietnamese dong in hand, otherwise you might never lose the swarm. If you get chilled hiking around Sapa, then the open fire at Baguette & Chocolate, a French-colonial villa renovated into a café, will warm you up in no time. Run as a vocational school for disadvantaged youths, the staff here are somewhat shy. Home-stays are also popular in these villages and can be a good way to support the local tribes and learn about their daily life.